there was some blue in it. There’s a show called Brain Games (which you can stream on Netflix), and you should see it. At least the first episode. If you think you have a firm handle on reality, watch it and get back to me. Shows like this don’t usually trigger an emotional response with me. Ok, well, that’s not true. I’ve been known to rant about small things from time to time—mostly on days that end in “y”. But this one did. Enough that I was struck by it and have been considering it for sometime. As a speech communication and English student, I learned pretty quickly that perception is tricky. It’s also reality. The Dress points this out in stark detail. The science is interesting. The colors we see have to do with how our eyes and brain have evolved to recognize movement and location based on shadows and light. Static pictures/colors moved into different lights, or accompanying backgrounds make our eyes and brain "see" something different. This is because, over thousands of years, we’ve evolved to determine threat levels of moving objects, which rely on the changes of color in light and the movement of shadow. Don’t believe me? Check out this video which illustrates perfectly how shadow impacts our perception of movement (linked as needed). So why does this freak people out? 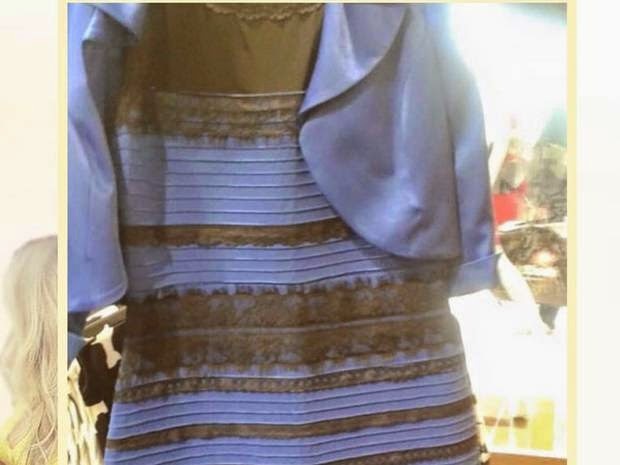 Why arguments and name-calling and death threats over the color of a dress. 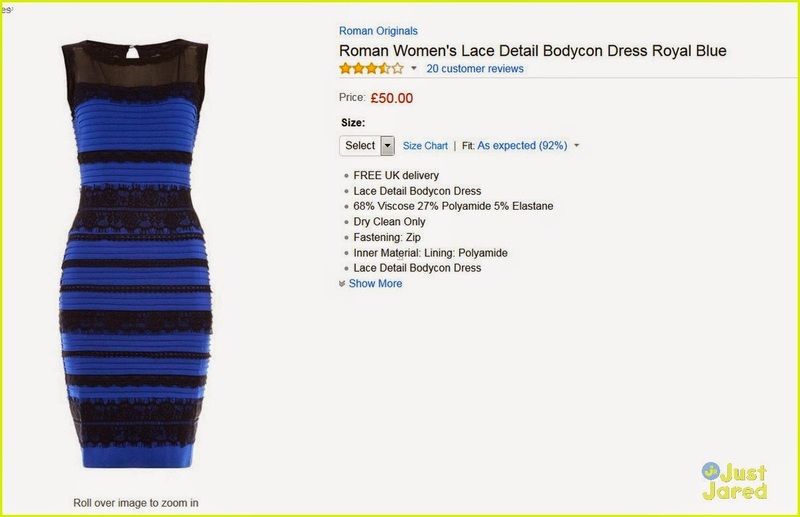 But I wanted it in WHITE and GOLD! It’s a matter of stability. If you can’t trust your eyes to tell you what color something is, or how a basketball is moving, then what can you trust? We desperately, desperately want stability in an otherwise chaotic world. But really only the illusion of stability is possible. After all, that money in your 401K which you’ve worked hard over many years to save up? It doesn’t actually exist. A strategically placed EMP or computer virus would wipe it out, and you might be hard-pressed to get it back. The numbers themselves are only representative, an agreed upon illusion of ability to provide sustenance, shelter, clothing, warmth in the winter and cool in the summer. In truth, that electronic savings account can actually do none of those things unless we all agree that they can. It will be useless the Zombie Apocalypse comes. It looked better in the store window! But we can’t exactly live in fear of the Zombie Apocalypse (although you should). So we create a world view based on what we think is the most stable design. We, as a species, will cling to that illusion of reality and naturally reject any voices to the contrary, no matter how reasoned, analytical or evidence-based. Instead, we’ll look for confirmation bias to support that world view so that it remains whole, intact, and untouched. Anything to the contrary is relabeled as necessarily "evil" and should be eliminated. This is how climate change deniers operate. This is how anti-vaxxers operate. This is how pornographers operate. This is how religious extremists operate. This is how partisan politics operates. And the truth? Who cares. The dress is GREEN with PURPLE POLKA DOTS. You can’t tell me it’s not, because that’s what I see. There must be something wrong with YOUR eyes. Also, I know you clicked that "pornographers" link. This is why I love you. of a lion or that of an elephant? problems. The main problem was the flow. It didn’t feel like a fight. Fights are quick, and, if Hollywood is to be believed, suffer from shaky-camera-syndrome. To be fair, fights and battles are indeed erratic, chaotic, and confusing. Uniform battle dress was used, in part, to distinguish the good guys from the bad guys. 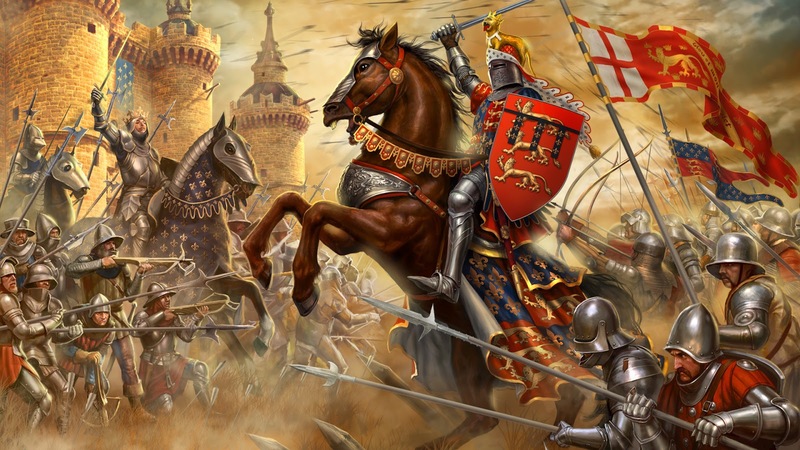 In the heat of battle, it’s hard to tell one guy screaming and waving a sword from another. In writing, fight scenes especially should take the advice of Mr. Provost, and use sentence length to advantage. Because fights are quick, actions are fast, and always in motion, sentence structure should convey this to the reader as much as the words. This is a lesson I didn’t really learn in my first book. Fights and battle scenes were some of my first attempts at writing, but I didn’t realize that sentence length could suggest the same speed, ferocity and hammered action of the fight. Robed figures came from the right. Each clad from toe to tip in a garish yellow, rendered more so by the obscene red glow. Blades were produced from under cassocks and growls issued from out of cowls. Del didn’t have time to aim. She tried to shoot low, to wound without killing. Her guns barked and spat fire. Robed figures fell as scythed wheat. Something big and heavy cracked against her back. The blow wasn’t much—in her current state, she barely registered any pain at all—but it distracted her enough that she paused. A knife, wickedly curved and partially serrated, slashed through her thigh. It cut cloth and drew blood. Then Marrin was there, his sword bare, but in his hands it would be as deadly or as safe as he wished. He used the flat, the pommel and the guard to amazing effect. His first blow smashed the knife from Del’s would-be killer, and he back-handed the man’s face. He stepped to the left and put himself amongst the acolytes, slashing and swinging with a speed and fury that was hard to resist. 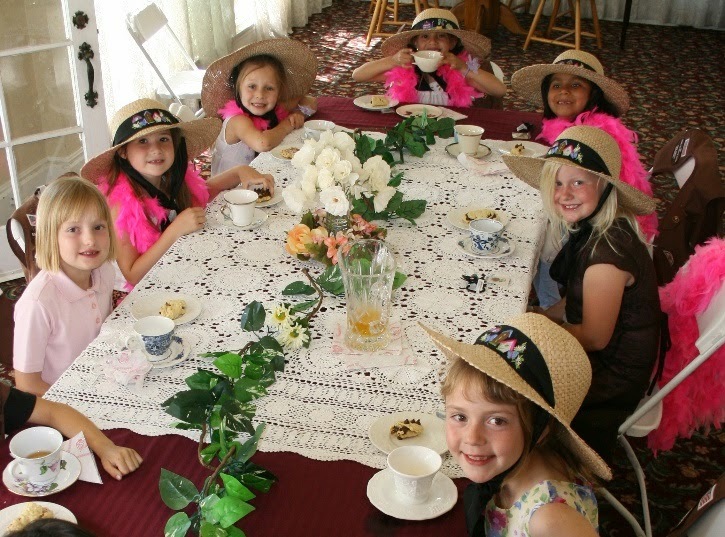 This ain't no tea party . . . oh, wait. It’s not a bad effort for a freshman author. The first couple of paragraphs take advantage of the sentence length pretty well, moving the action forward, and highlighting the speed at which the fight is taking place. Then Marrin shows up. His appearance is conveyed randomly, which is poor writing in itself. Previous scenes reflected that the character was present the entire time, so there’s no reason for him to show up as if he’d been standing off camera just waiting for his big Hollywood moment. The bad guys and Del should have seen him the entire time. Marrin’s entire paragraph is only four sentences long, but it’s as many words as the previous paragraph (69 versus 74), which takes up six, short, sweet and mostly adjective-free sentences. Marrin stepped to the left of Del, his sword bare. With the flat of the blade, he batted the knife away from Del’s attacker. His fist smashed into the man’s face. The acolyte flew back from the force of the blow. Marrin moved into the gap. He used the flat, the pommel and the guard to amazing effect. He put himself amongst the acolytes and slashed with irresistible speed and fury. Now the paragraph moves along. The action speeds up. Marrin is a force, a whirlwind. He’s a master swordsmen that the evil acolytes can’t hope to contend with—and they don’t. The paragraph is the same length (70 words), but it moves a much faster clip—the action is visceral and kinetic. It’s still not the best it could be, but it’s stronger than it was, reflecting how much attention should be paid to the emotional content of such scenes to keep the reader engaged. A quick historic note that while CE/BCE versus AD/BC debates seem to rage, they mostly miss the point entirely, or else eschew it in favor of political/religious concerns which are wholly unwarranted. First, it’s important to know that the concept of CE/BCE is not a new one made up by evil, godless, cold-hearted, cynical, academic intellectuals trying to crush religion beneath their patent leather heels. 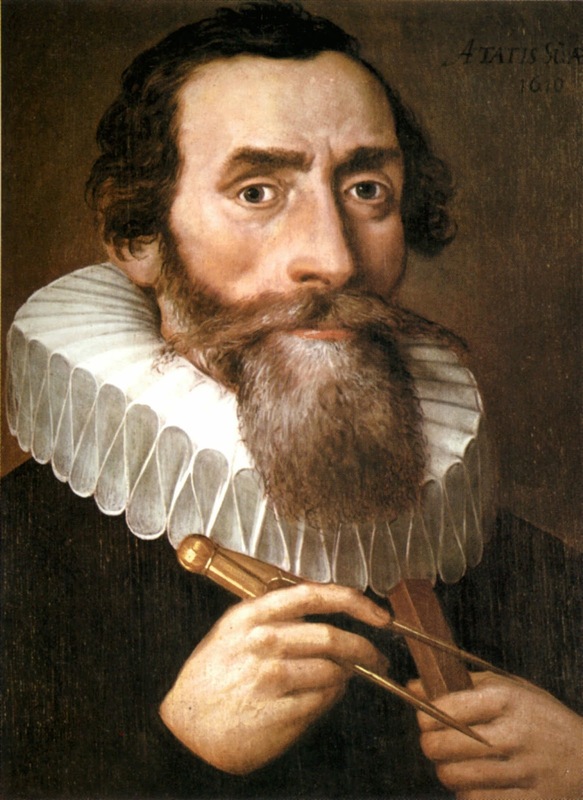 Johannes Kepler, way back in the early 1600s, used the dating designation of "Vulgaris Aerae", Latin for Vulgar/Common Era in several of his books. It was likely in practice before then by other scholars as a way to designate a more universal dating system rather than the then standard “regnal” dating, which relied on naming the current local king, queen, pope, etc., and dating from his/her first year of reign forward. While not a wholly bad way to describe history, regnal dating only works on a limited regional scale, and was very imprecise at best. It requires knowledge of who the named regent was and when he/she started to reign in relation to other events which may be outside the scope of that particular region or current memory. Kepler balanced his Common Era abbreviation with with "ante Vulgaris Aerae" or Before Common Era, and thus we have the CE/BCE in common use in a major work some two-hundred-plus years before the current arguments. The designation is found throughout important Western books including The Encyclopedia Britannica (1797) up through The Catholic Encyclopedia (1909) and forward. But is that AD or CE? 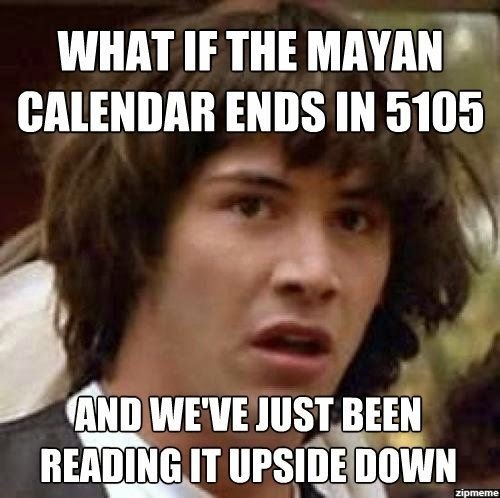 But until the modern era, the Gregorian calendar was just one of competing systems*. Islamic and eastern nations have always kept a different calendar system, and have only recently adopted the Gregorian calendar as the de facto standard. Jewish scholars, for example, kept (and still keep) their own calendar system, and often denoted dual dates, with CE used for the Gregorian calendar designations. In a darkly funny twist, Nazi Germany specified that dates be written with CE/BCE, before realizing that this was also the Jewish practice. Even the Gregorian calendar was only adopted fully by all Western nations some 250 years ago with many protestant nations, like Britain, holding out against what they saw as another Papal encroachment. It’s important to understand that the Western calendar codification wasn’t a universal system until very recently—the last 100 years or so. This mostly required non-Western nations to formally adopt the Gregorian calendar system, which didn’t happen until the early 1900s rendering it the de facto universal calendar system, with designations being made all over the place that have nothing to do with Anno Domini or Before Christ. People of all faiths have taken to using [the Gregorian calendar] simply as a matter of convenience. There is so much interaction between people of different faiths and cultures – different civilizations, if you like – that some shared way of reckoning time is a necessity. And so the Christian Era has become the Common Era.